Females are born with a limited number of eggs and the quality of these eggs diminishes over time. Egg quality is one of the main contributing factors of female infertility and increases as women age. OvaBoost for Women is a natural, fertility supplement specifically designed to improve egg quality and ovarian health in women. This doctor designed formula includes a special combination of vitamins, herbs and antioxidants. OvaBoost for women has been formulated by medical practitioners in the USA to ensure that the combination of ingredients will protect egg cells from free radical damage so that they can produce the energy required for successful conception and implantation. How Does OvaBoost for Women Work? Ingredients such as myo-inositol, folic acid and melatonin are absolutely critical in the success of OvaBoost for Women and have been proven to improve egg quality and increase your chances of getting pregnant. Folic Acid – is known to help prevent neural tube defects and is recommended in adequate quantity for women trying to get pregnant. Recent studies of women undergoing IVF have proven that when taken in conjunction with myo-inositol and melatonin, egg quality improved substantially. It also helps promote ovarian function and regularity of the cycle in women with PCOS. Coenzyme Q10 (CoQ10) – is an antioxidant which has been proven to increase fertility. Vitamin E, grapeseed extract and alpha lipoic acid ensure that the egg cells are not damaged by free radicals. Who Should Use OvaBoost for Women? Women who are trying to fall pregnant should use OvaBoost. Its specially formulated combination of vitamins, herbs and antioxidants are effective in optimising egg quality and improving the process of ovulation an in particular for women with PCOS. Are there any Side effects for OvaBoost? There are no known side effects of OvaBoost. However, you should consult your healthcare professional if you are taking depression or anxiety medication or St Johns Wart as OvaBoost contains myo-inisotol and it may have additive affects. How Does OvaBoost help with PCOS? Its powerful antioxidants counteract toxins and minimise the damage from free radicals. **we the sole distributor for Fairhaven in India. All products are imported directly from Fairhaven USA. A two in one vitamin & supplement to support harmonal balance in female. Balance Blend is a natural dietary suppmenet, which is designed to give your Menopause symptom relief. 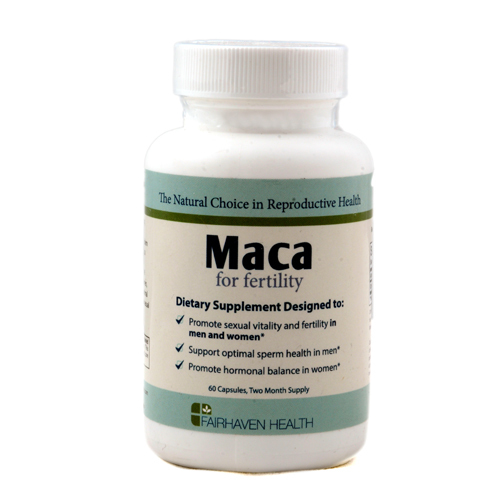 Maca is a very effective herb, used throughout the world for its fertility enhancing qualities for both men and women. Potent, yet safe, it has helped couples for centuries to fall pregnant. 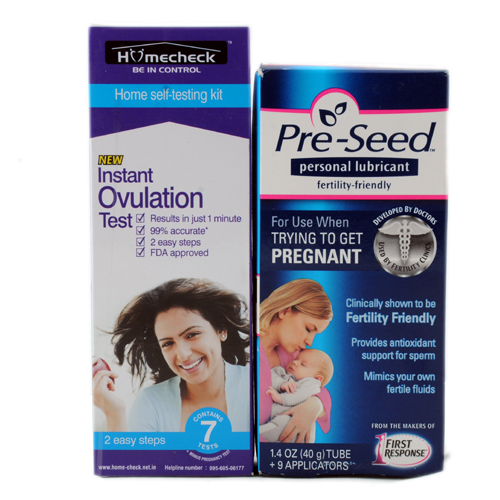 Fertility Value pack All those couples who are trying to conceive, Homecheck brings to you a special combo offer which includes one month supply of most popular fertility products both for men and women. The fertility value pack includes • FertilAid for Men: This is an effective, non-prescription and all natural formula which promotes the development of healthy sperm, as well as increase sperm motility, increase sperm count and overall reproductive system. It is a natural and safe. It does not contain any artificial colors, dyes and preservatives etc. 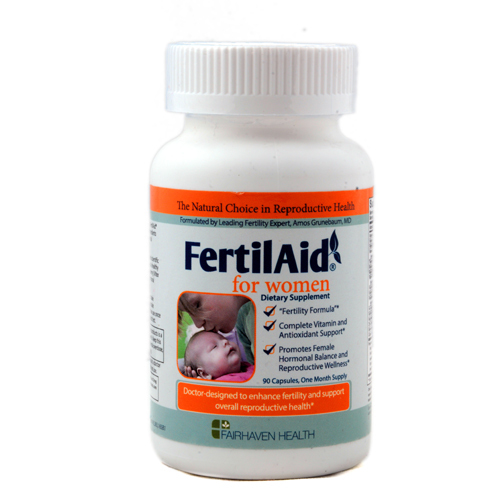 • FertilAid for Women: This special formula helps in improving reproductive wellness, promoting hormonal balance and enhancing your chances to get pregnant faster. 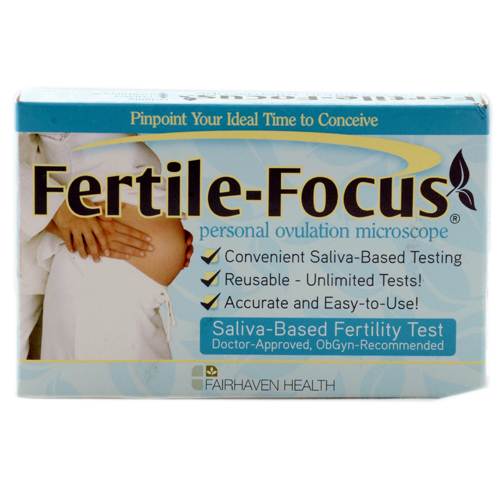 • Instant ovulation test: Checks for the most accurate time for your ovulation. So, buy this fertility value pack at an attractive price range at Homecheck and welcome happiness at your doorstep! A natural fertility supplement to help increase fertility in women Fertilaid for Women was created by leading fertility expert and ObGyn, Dr Amos Grunebaun and produced and fully imported from the USA. It has been designed to improve reproductive health in women. Room No.5 Ground Floor Rohini Complex, WA 107/121. Shakarpur, New Delhi-110092.